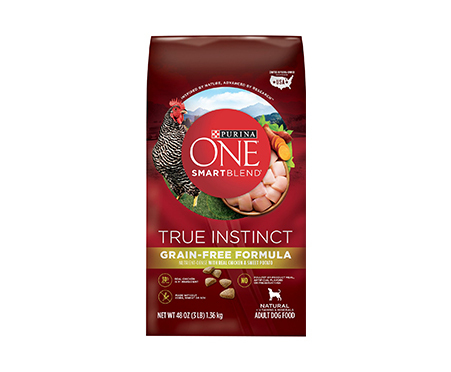 Provide your dog with the natural nutrition, plus vitamins and minerals he needs in a grain-free recipe with Purina ONE SmartBlend True Instinct Real Chicken & Sweet Potato Grain-Free Formula. It's made with the nutrient dense taste dogs crave. 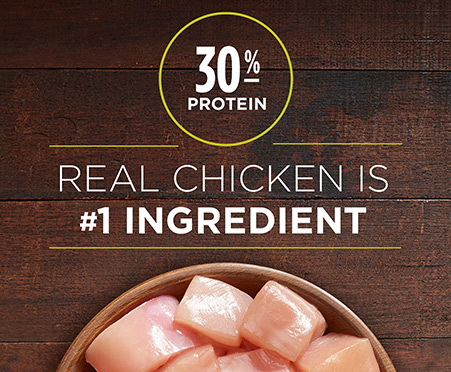 Real chicken is the #1 ingredient, and each of the high-quality ingredients in this recipe has a purpose. This grain-free meal is crafted without corn, wheat or soy, making it a healthy option for sensitives doggies. Featuring 30% protein to support his strong muscles and active lifestyle, and antioxidants from four sources to help support your dog's healthy immune system. Natural sources of glucosamine help support healthy joints so that he can keep up with his daily adventures. This SmartBlend features a highly-digestible formula, so more nutrition goes to work inside of your dog. 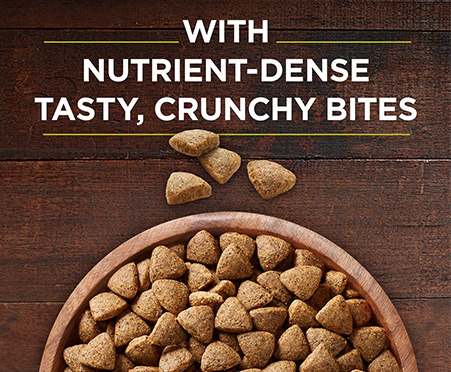 Give him the 100% complete and balanced nutrition he needs to support his lifelong whole-body health with this Purina ONE recipe. 100% complete and balanced diet with real chicken and sweet potato specifically formulated to support a healthy, active lifestyle for your loving pal. Plenty of protein to help support strong muscles and a healthy, active lifestyle for your loving pal, plus added vitamin and minerals for overall health. 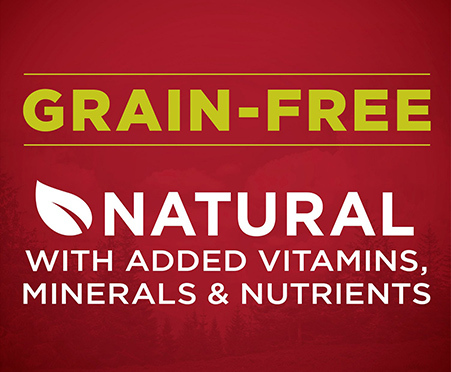 Grain-free recipe filled with antioxidants from four sources to help support your dog's healthy immune system. Made without corn, wheat, soy, poultry by-product meal, artificial flavors or preservatives, making this a great meal for a dog with sensitivities. Proudly produced in Purina-owned U.S. facilities to ensure safe, quality food, so you can feel good about serving your pal a healthy meal.